UK – PLASA, the Professional Lighting and Sound Association, is pleased to announce that Peter Heath has been appointed to the new role of Managing Director of PLASA, with effect from Monday 11 April 2016. Peter brings with him a wealth of industry knowledge and hands-on sales and management experience. 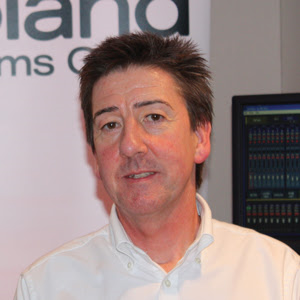 He joins PLASA from Roland Corporation, where he worked in various senior roles for nearly 20 years, making a substantial contribution to the sustained growth of its UK music division, where he became Sales Director in 2009. In 2006 he set up Roland UK’s Pro Audio division, which later became Roland Pro AV after merging with Edirol Video products. He developed his role and in 2012 became Pro AV Sales and Marketing Director in the UK. In 2014 he Joined Roland Europe Group as Head of Pro AV for Europe. Peter has also worked closely with the Music Industries Association (MIA) and, through Roland, has been a PLASA member since 2006. The selection process for the new post, which supersedes the position of CEO, was run independently of the PLASA Executive Officers and managed on PLASA’s behalf by John Simpson (Former Chair of the PLASA Governing Body), with support from PLASA Board Members Peter James (Shure Distribution UK) and Mark Surtees (Outback Rigging Group), PLASA Finance Director Shane McGreevy and independent HR specialist Elaine Pennell.